Roy Grinnell was born in Santa Barbara, California. As a child, he enjoyed drawing airplanes and at the age of eleven, he painted a Swedish P-51 shooting down a Me-109 for his Swedish grandmother. When Roy graduated from Santa Barbara High School, he decided to join the Navy and was stationed in Guam. After serving his time in the Navy, he attended the Art Center School of Design in Los Angeles, California and graduated with honors. Preserving Aviation History on canvas is Roy Grinnell’s forte’ and it has brought him worldwide recognition as an aviation artist of the highest caliber. 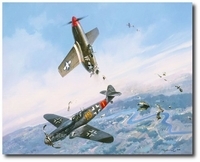 Roy’s documentation of aerial combat events has given him the honor of being the official artist of the American Fighter Aces Association. 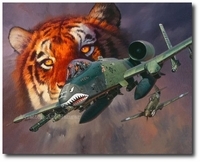 Over the years, Roy has painted over 28 original oil paintings for the American Fighter Aces Association depicting combat missions of the top American Aces of WW1, WW11, Korean War and the Vietnam War. These Aces include WW1 Aces George Vaughn, Douglas Campbell and Ray Brooks, WW11 Aces including Tex Hill, Joe Foss, Gabby Gabreski, Marion Carl, Rex Barber, Alex Vraciu, Chuck Yeager, Chuck Older, Robert L. Scott, Korean War Aces Boots Blesse and Guy Bordelon, and Vietnam War Ace Steve Ritchie. 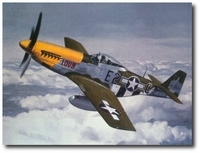 In 2004 at the American Fighter Aces Reunion in Seattle, Washington, Roy was made an “Honorary Ace.” Roy’s original oil paintings have been displayed at the Museum of Flight, Boeing Field, Seattle, Washington, in the Personal Courage Wing and the Dahlberg Research Center. Roy is also the official artist of the American Combat Airman Hall of Fame, Commemorative Air Force, Midland, Texas. 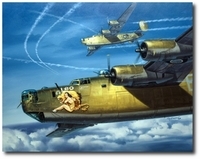 Roy has painted several paintings for the ACAHOF and lithographs are signed by some of the inductees including Bob Hoover, Robin Olds, Robert Morgan, Paul Tibbetts, The Flying Tigers, The Eagle Squadron, Lee Archer, and members of the Black Sheep Squadron. Roy was honored to receive the “Spirit of Flight” award and Lifetime Membership into the Commemorative Air Force. In 2002 and 2006 he was awarded the Silver Magnolia Blossom by the international French Wing of the CAF. 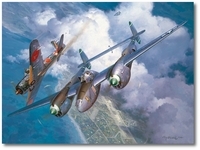 Several other museums where Roy’s paintings are displayed are the Naval Air Museum in Pensacola, Florida, The Polish War Museum in Warsaw, Poland, The United States Air Force Museum, Dayton, Ohio, the National Aviation Hall of Fame, Dayton, Ohio, the Normandie Niemen Museum in Les Andelys, France, CAF Headquarters, Midland, Texas, Le Bourget Aviation Museum, Paris, France, and Lafayette Escadrille Memorial, near Paris, France. 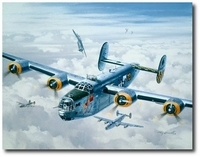 Roy has also exhibited his art at the American Airlines Museum in Fort Worth, The US Air Force Museum in Dayton, The Aeroclub de France, Paris, France, and the Paris Air Show, Le Bourget Airport, France. Roy received a special award from the United States Air Force Museum for his participation in the Centennial Celebration of Aviation Art in 2003. Roy has traveled worldwide preserving memories of the Aces he is portraying. He has traveled to China twice researching for some of his paintings, and also spent a month, as a guest of the Chinese Air Force, at the China Aviation Museum near Beijing where he researched and painted “Final Victories” in a studio they prepared for him. A few years ago, Roy did a few paintings depicting the Battle of Britain and they were launched at the Duxford Air Show in England where prints were signed by RAF Aces Pete Brothers, Billy Drake and Ken Lee, and Luftwaffe pilot Hans Ekkehard Bob. 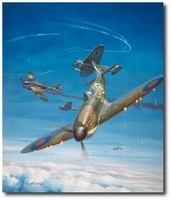 His Battle of Britain oil painting “The Struggle Begins” won Best of Show in March 2008 at the annual CAE Simu-flite Aviation Art Exhibition held in Dallas Fort Worth/TX. Roy traveled to Hawaii on the 60th Anniversary of the bombing of Pearl Harbor to launch the painting “The Final Moment” and spent time with survivors of the USS Arizona who signed lithographs. Another really unique moment was when former Flying Tigers Ace, Supreme Court Judge Chuck Older married Roy and Irene at an AVG Reunion in Seattle, Washington in 2001 with members of the Flying Tigers present. 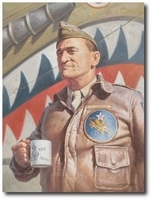 Roy also launched a major AVG painting, “The Decisive Moment” at the 60th Reunion, and 23 members of the Flying Tigers signed lithographs. In 1999 Roy was the proud recipient of the prestigious R.G. 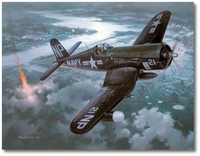 Smith Award for Excellence in Naval Aviation Art at the National Museum of Naval Aviation, in Pensacola, Florida. In 2003, Roy’s painting “Joe Foss – A Proud American” won First Place at the Naval Museum in Pensacola. Roy is a member/ fellow in the ASAA, an organization for aviation artists. "A Shot of Old Crow"
"First Marine Ace - Marion Carl"
"Joe Foss, A Proud American"
"Just Another Hole in My Head"
"One for the Big Friends"
"Over the Top of the World"
"Raiders of the North Atlantic"
"They Built So We Could Fight"
"Under Attack, Tall, Torrid & Texas"
"The Vin Fiz Comes to Arizona"
"Yeager's Conquest - Mach 1"